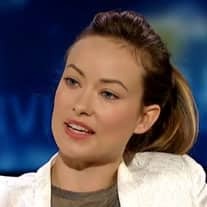 The person who coined the phrase "beauty is only skin deep" clearly never met Olivia Wilde. Cause, yeah, sure while she is easy on the eyes - Maxim named her the world's hottest woman in 2009 - Olivia is fiercely smart, especially when it comes to politics and, more importantly, when it comes to getting people to care about politics. How? Well, she comes by it naturally: Her parents are both journalists, and people such as Mick Jagger and Christopher Hitchens would drop by the house for a visit (wonder what those dinner table conversations were like). Still, Olivia always knew she wanted to be an actress, and after high school, she enrolled in the Gaiety School of Acting in Dublin. Her big break came in 2007 when she landed a role on House, playing the beleaguered doctor known at first only by her number: 13. The role proved lucky - it led the way to bigger parts in movies like 'Tron: Legacy' and 'Cowboys & Aliens' and it gave her the security to follow her own passions - like helping the Obama campaign in the 2008 election, volunteering in Haiti as part of Artists for Peace and Justice and even writing and directing her own projects, like the short film 'Free Hugs'. One of Olivia's latest movies is called 'Butter'. On the surface it's a film about a butter-sculpting contest in Iowa, but it's also a film about greed, naked ambition and dirty tricks. And if you think that sounds like there's comparison to be made to American politics, you're not alone - and that's just the way Olivia likes it.